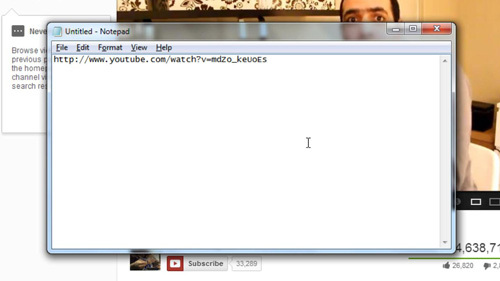 In this tutorial you are going to learn how to link youtube video at specific point. First of all you need to go to the video on YouTube which you want to give a specific time link for. Once you have loaded the video you need to copy all of the data in the address bar and paste it into a new location. Here we are putting it into Notepad. Now you need to add some extra text to the link to make it link to a specific time point. At the end of the link type “#t=”, then enter the number of minutes you want to skip to, in this case “1” then type “m”. next type the number of seconds here “3” and then type “s”. The complete text after the link should read “#t=1m3s”. 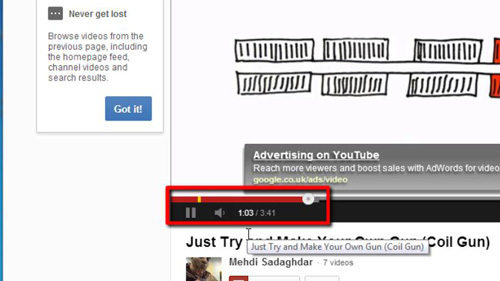 That is how to link youtube video at specific point and now we should make sure that it works. Paste the link back into the web browser and it should load the video to the specified time, which you can see that it does here. You can now use this link to direct people to that specific time point.